Sometimes you get to the point of being soooo hungry that you need a snack right now! But, we don't want you to cave in and go eat all the things when you stop at the store. Because, that would be bad, right? Don't worry. We've all been there. That ravenous hunger hits when we realize we haven't eaten nearly all day and it's going on one o'clock in the afternoon. Rather than attack the aisles with the ferocity of a vulture after a two month fast… let's prepare you to walk calmly into Walmart so you're grabbing the best keto snacks that you can find. You don't have to go into Walmart and just grab cheese or almonds to eat and walk out defeated. Sure, cheese and almonds are good snacks. And, don't get me wrong those things can help you beat your hunger for sure. But, why not put some things together and create a delicious snack that will tide you over until supper? 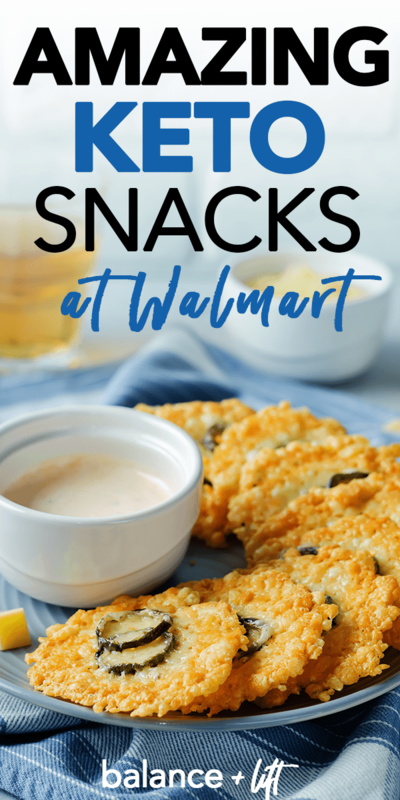 Creating a snack that you enjoy eating only takes a few minutes of running through Walmart. You should be able to make a plan in your car, race inside (ok… maybe walk), and grab what you need. No more mindlessly walking the aisles trying to figure out what to snack on so you're not stuffing your face full of old habits. If you're not grocery shopping then I'd write down what you're getting on a sticky note or some sort of paper you can carry with you. That way you'll know what you're getting and be able to avoid temptation. If you are grocery shopping then when you're shopping I would head straight for your snack foods first so you can have them at the front of your basket. Maybe nibble on a few if they're easy to nibble – like cheese. This will help you to keep on track and help you not make a carb-y mistake. 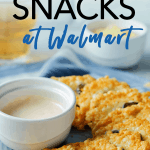 Now, what you consider a snack and what others consider a snack might be completely different, but it doesn't mean you can't find things at Walmart. 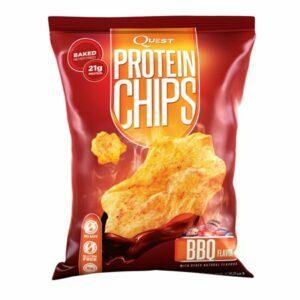 Check out the best keto items to by at Walmart also. Personally, anything I can snack on that doesn't require fixing or putting together is a snack to me. But, there are times where I would slice a cucumber and put some smoked salmon on it with some cheese for a snack. Here are some keto snack ideas you can consider or keep on hand for the next time you're in a stickler or need some snacks to meal prep for work or school. Almonds are always a great snack. They're full of fat and protein and can help tide you over until your next meal time. Pair these with some olives and cheese for a delicious snack or eat them plain if you think just these will do the trick. Depending on the type of cheese you buy, some cheese has a good amount of fat and some not so much. Make sure you get cheese that is NOT low-fat or even no fat. These won't help you reach your goals of staying in ketosis. The fat in the cheese is what we're looking for in snacks to help us reach satiety. Rather than just eating tuna on its own, I would add something like mayonnaise in there or some olive oil or some other sort of fat. By its self, it's kind of bland and boring (unless you like that kind of thing). But, adding some goodies too it makes it great. Like adding it to a slice of keto bread with some mayo mixed in and avocado slices too. Talk about yummy. Canned chicken is basically like canned tuna only it has a tiny bit more fat than tuna does. But, the same principals apply. Add in some yummy fats and spices to make this snack a real treat. You don't have to put it on keto bread, but instead, you can use cucumber slices to put the chicken salad on to make your snack. These are my favorite things ever really. All you need, honestly, is parmesan, a pan, and a tablespoon. Scoop out a tablespoon of parmesan onto a pan or into a muffin tin and bake it until it's crispy. I take them out when they're looking like they are getting a little dark brown. They're not burnt, they're just right! They'll cool and crisp up perfectly :). With a good amount of fat per 10 olives, this makes a really good snack. Eat olives with cheese and some cucumbers or even some smoked salmon and it's great for filling you up! There are plenty of jars that you can get that are glass so it won't be hard to pop the top to eat some while you're walking around Walmart doing your other shopping. The king of fatty snacks is HERE! Avocados make amazing snacks when you're feeling hungry and need something in a pinch. You can mix it up inside the skin and add a squeeze of lemon to it to make it delicious. Scoop out with some cut cucumbers or put on a parm crisp for a delightful treat. Generally, most Walmarts I've been to typically have a section where you can buy boiled eggs in a little package. In our area, the boiled eggs are by the premade salads, premade sandwiches, and the fancy cheese area. Just grab a few eggs and you'll be good to go. If you're not in the habit of carrying Himalayan sea salt in your purse by now, then you might want to get in the habit ;). It makes life so much easier. Mmm-mmm. Smoked salmon is such a treat and one that's pretty fatty too. But, be careful because the protein content is kind of high! To make up for it you can pair smoked salmon with some cream cheese or even olives for a fatty and super low carb snack. My husband and I will share a small pack of smoked salmon if we're getting hungry and we're shopping. 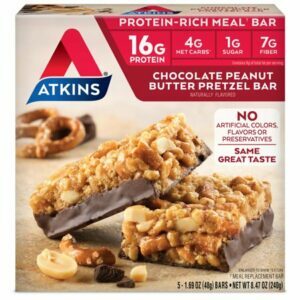 This isn't my personal option for keto snacks, but many people have asked me what packaged options are out there… so here's a few I've seen. Be mindful when choosing items that there can be hidden carbs in the foods. Not to mention the fact that whole food items will leave you feeling more satisfied. Easy to pack in Ziploc bags to toss in a pack as you run out the door. Check your local WalMart to see if they have this brand. I know some folks like quick snacks and this one couldn't be faster. Not my fav by far at all, but if you're needing something to put in your purse then this fits the bill. These things are actually pretty good. I'd rather make my own, but in a pinch, they'll do just fine. You can usually find them by where they keep all of the specialty cheeses (for us that's up in the veggie area by the deli). I know all stores are different though. 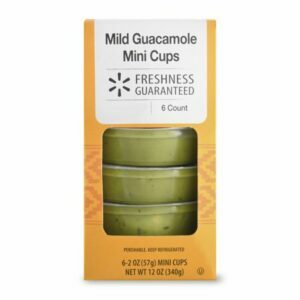 This is probably my top keto snack at Walmart that I would suggest along with something like cucumber and avocado. They also have a brand called Wholly Guacamole, but I'm not fond of that brand. It has an after taste that is very off-putting. However, the Walmart brand I haven't found to be too bad. Here are a few ideas that you can put together the night before work or you can prep the morning of if you'd like. They're all pretty fast things you can put together. Grab your meal prep containers and get to prepping these snacks. Oh, and these are also great for kids lunches! Simply delicious, but you'll need to have a knife on hand to cut the cucumbers. The carbs are a little higher than I'd like, BUT you can always eat 3/4's of the cucumber or add more feta to balance out the ratio. Slap a piece of cheese on some salami you had cut by the deli for a yummy snack. Since I'm used to eating salami with some crackers I would either add in some parm crisps or maybe even a kosher dill pickle for that crunchy aspect! This snack is super easy to pack up and go if you're in a rush in the morning. Give it a shot and see what a breeze it is. For these, the carbs in the turkey are really dependent upon the type of sliced turkey you buy. Some have more additives than others so you have to be careful. It is possible to find some turkey slices with lower carbs, but just keep your eye out. This is super easy to make and is fuss-free. If you're looking for something to eat this with then I would pack along some romaine lettuce leaves to put the chicken salad in. This snack is super light and very filling. Personally, love chopping up a granny green apple to put in my chicken salad. If you use 2 ounces of the cut apple then it only adds 6g net carbs extra. I would only do this if you're not worried about slow weight loss. If you're wanting to be a bit more proactive then you can grab some meal containers and prep your snacks ahead of time. These are the meal containers that I have and use. They're really great and they don't hold grease like their plastic counterparts. Which I really do love about them. I hate how plastic meal containers hold onto grease like crazy. I literally washed a plastic meal container for about 5 minutes before I gave up and just tossed it in the sink to work on later. 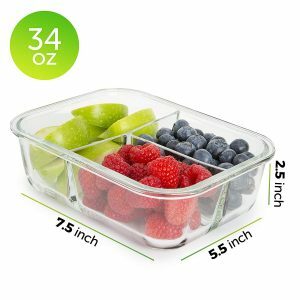 But, you should definitely get some meal containers so you can prep your snacks. Decide on the items you want to snack on throughout the week and then put them in the glass meal prep containers for storage. Check out this post on the ultimate guide to meal prep containers. I would slice up some cucumbers, wash some berries, slice some cream cheese into blocks, part out some smoked salmon, make some parm crisps, and divvy up some olives. 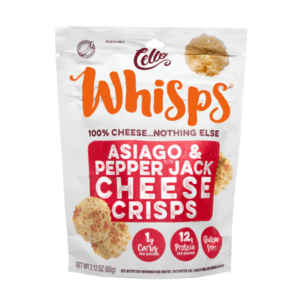 There are plenty more options for you when it comes to keto snacks, but these are pretty easy and they keep well in the fridge.